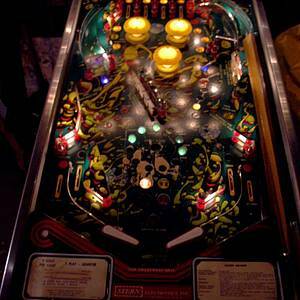 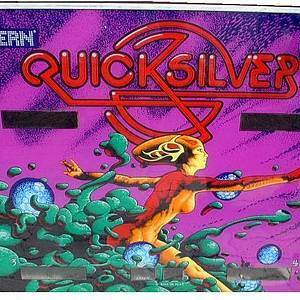 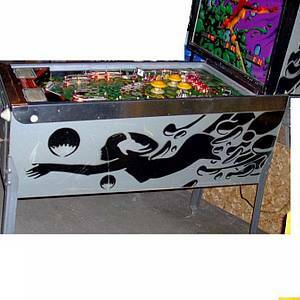 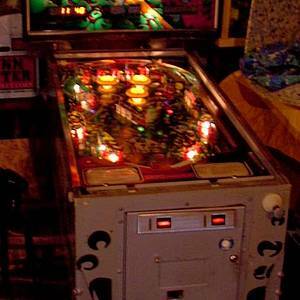 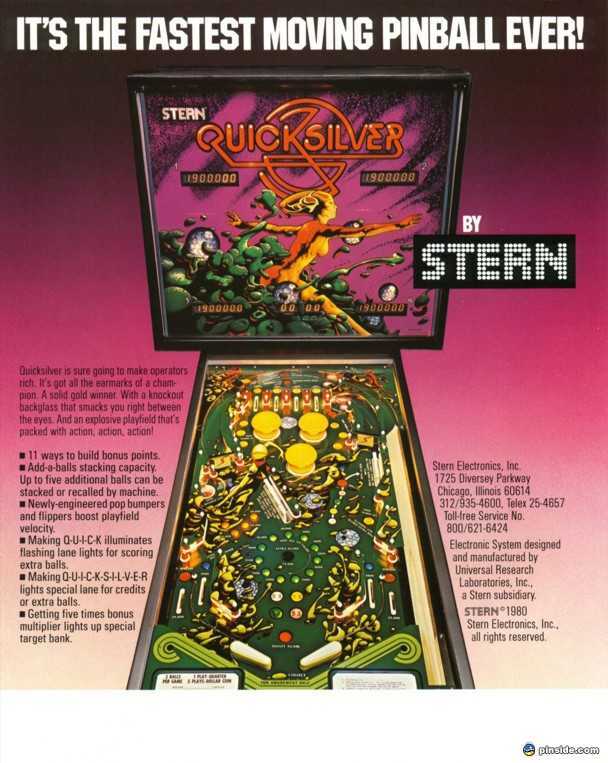 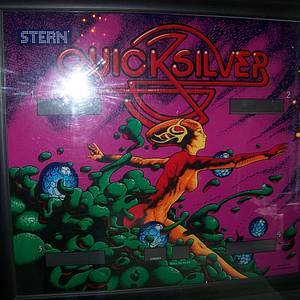 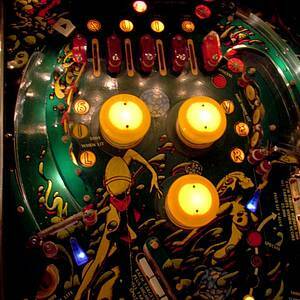 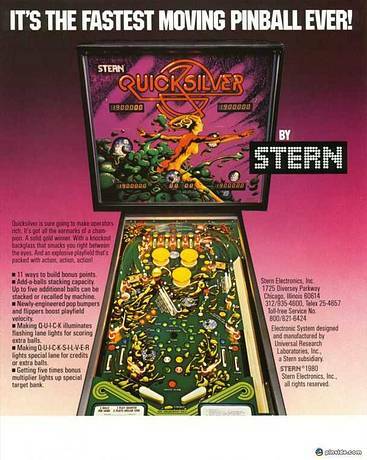 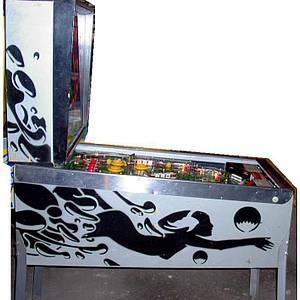 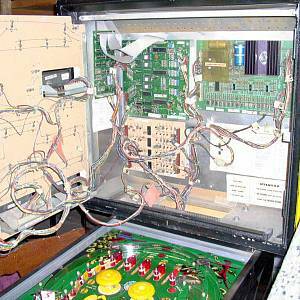 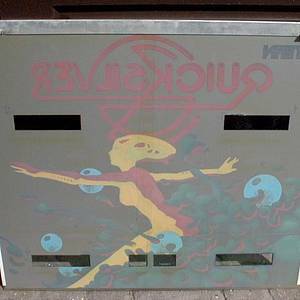 Quicksilver is a pinball machine from June 1980, manufactured by Stern Electronics, Inc.
Game Design: Joe Joos Jr.
"It Ain't Just Any Plain Old Silver Ball.It's the Fastest Moving Pinball Ever!" 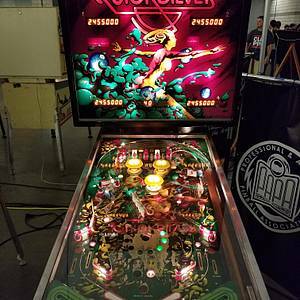 This game has received 36 approved Pinsider ratings and currently has a rating of 7.898 out of 10. 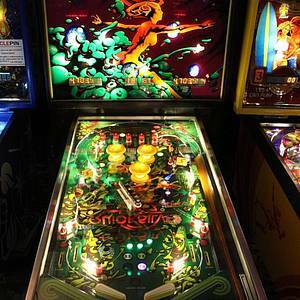 136 Pinsiders have this game on their wishlist.